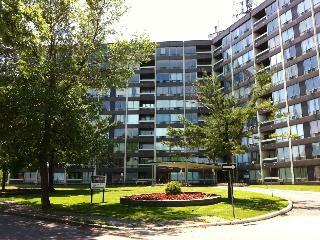 One Bedroom Ottawa Apartment Home Rentals Riverside / Ridgewood 2660 Norberry Cres. "Steps from Mooneys Bay Beach!" Bright and spacious one bedroom. The monthly rent includes the heat and the hot water. All apartments have parquet wood flooring and pet friendly.